Dix, neuf, huit, sept, six,Cinq, quatre, trois, deux, un!! The Countdown begins to Travel Paris, find out what so Mysterious about Paris. The most famous quotes by Napoleon Bonaparte, Secrets travel fast in Paris. but I would suggest you can go faster and soon with last minute flight to Paris .Well, Paris is the capital city of France, and the uniqueness of Paris is their languages, Places, famous for holiday and our, L’Oréal and Christian Dior and much more. The traveler sees what he sees, the tourist sees what he has come to see. So it only depends on you, what you want to be a Traveller or Tourist but be with Fareskart flights. However, Let me suggest you some cool places of Paris, which you can’t skip either you are Traveller or Tourist. 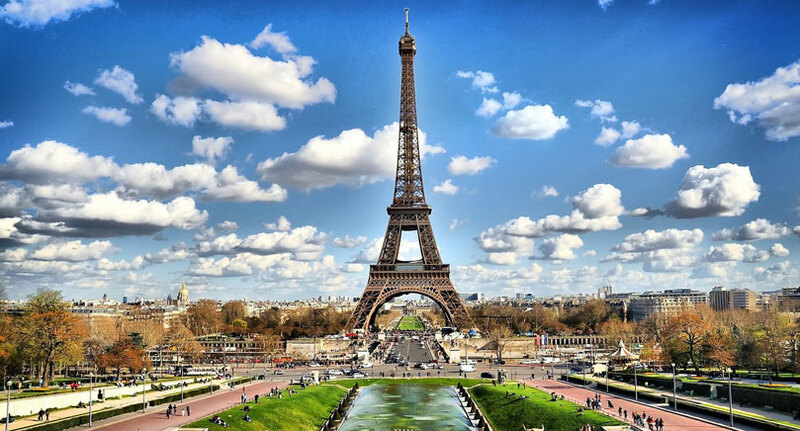 It would be a waste to travel if you skip the most iconic Symbol of Paris with 300 meters high tower, Oui Oui (yes yes) it is & Eiffel Tower; situated in Champ de Mars park. One of the world’s most photographed tourist attractions, either in day or night time, its would give you excellent pictures either you take it from any angle. Bad pictures with Eiffel Tower still would be the great one. LOL!! There is also one most tomb standing with 164 feet and 50 by 48 meters wide that are & Arc de Triumph situated from he first world war. One of most noticeable landmarks with awe-inspiring rose windows and the world famous Not re Dame cathedral. Disneyland Paris the second Disney park within 20 miles from Central Paris.And its is more than just theme park, it also has the resort, hotels, golf playing. in the river under that bridge. Travelling is like flirting with life. It’s like saying, “I would stay and love you, but I have to go this is my station. The family-run Hotel Diana has rooms overlooking a courtyard or an impeccably Parisian street.Or comfortable Le Relais Montmartre, with neighborhood metro.And if you are ready to lighten your wallet, you can stay in Luxury & La Reserve Paris Hotel and Spa.The nightlife of Paris is dizzying variety moods, sub cultures, cocktail sipping, you adapt your dress and wallet and Faire la fête (party) Parisian-style. departure you within 10 hr. Soyez fou de voyage à Paris (Be crazy to travel to Paris) There is more Mysterious things of Paris, go and find out what else with the cheap flight to Paris.